Istanbul New Airport slates to open in 2018 as one of the world’s largest. 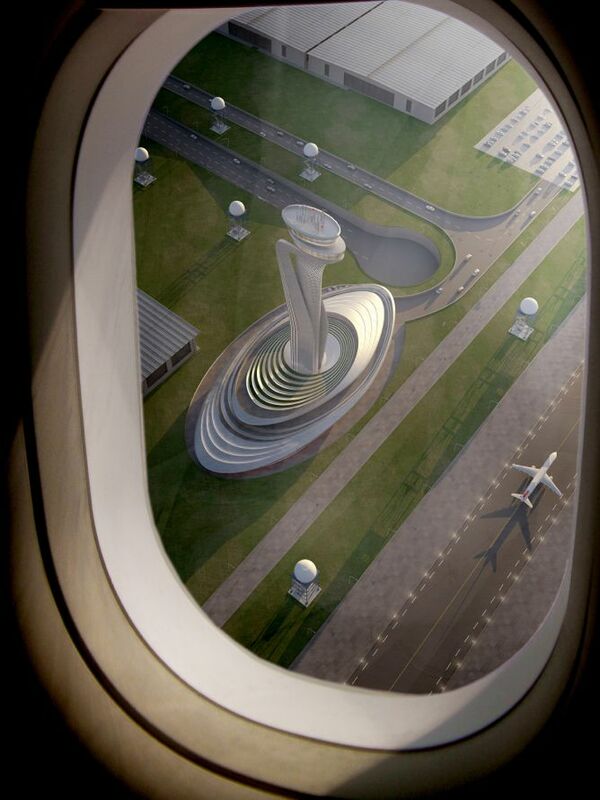 The airport will be used as the centerpiece to connect passengers around the world. It will be constructed on the European side of Istanbul between Tayakadın and Akpınar villages along the Black Sea coast. It is located roughly 50km (31 miles) northwest of downtown Istanbul. 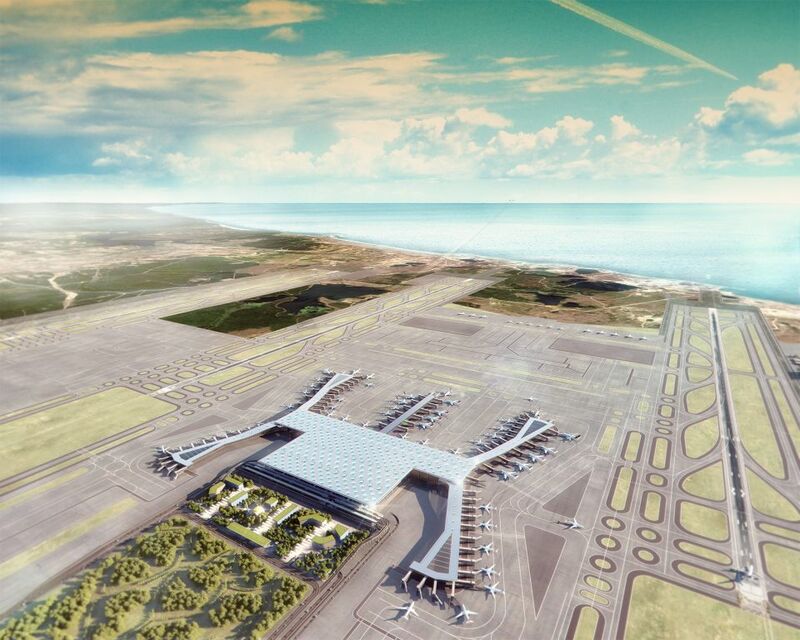 When it opens in 2018, the airport will replace the older Atatürk Airport (IST) which will be closed. 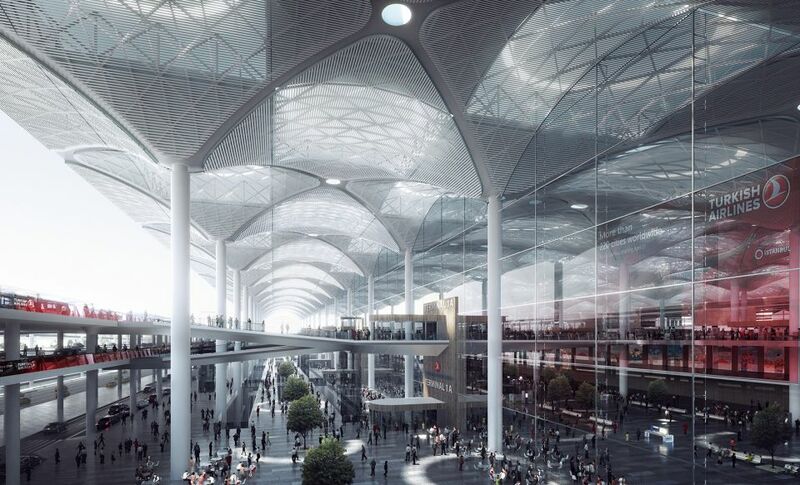 Istanbul New Airport will be completed through four phases. Planning started in 2013 with construction of the first terminal began in 2015. When the master plan is completed, it will have six parallel runways capable of handing all aircrafts types (including the Airbus A380 and the future Boeing 777X). 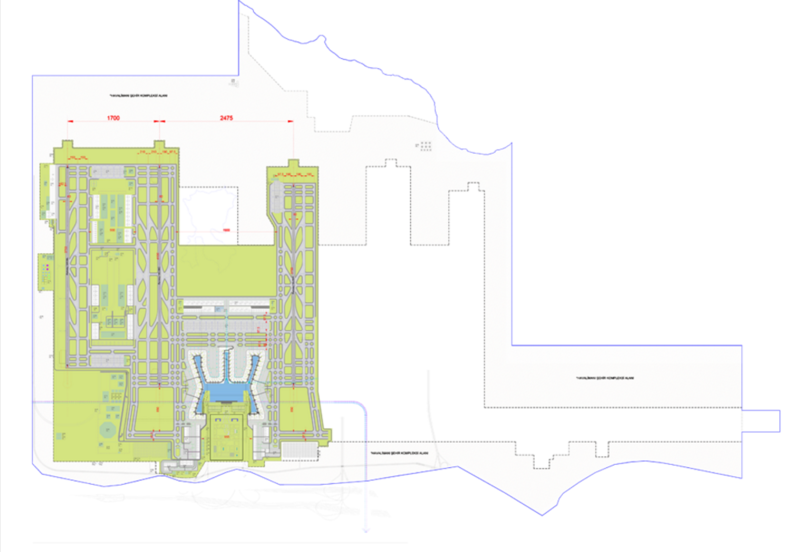 The airport will have four terminals featuring multiple concourses. 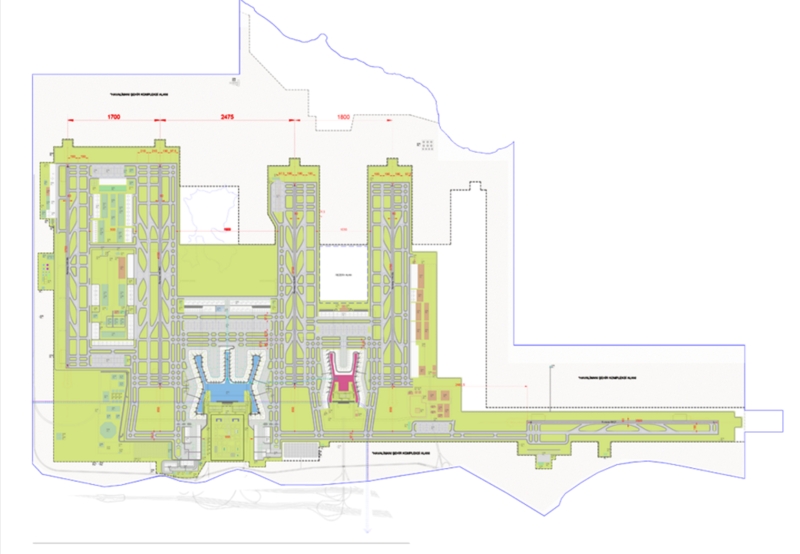 The first will have an initial passenger capacity of 90 million which will make it the largest in the world under one roof. 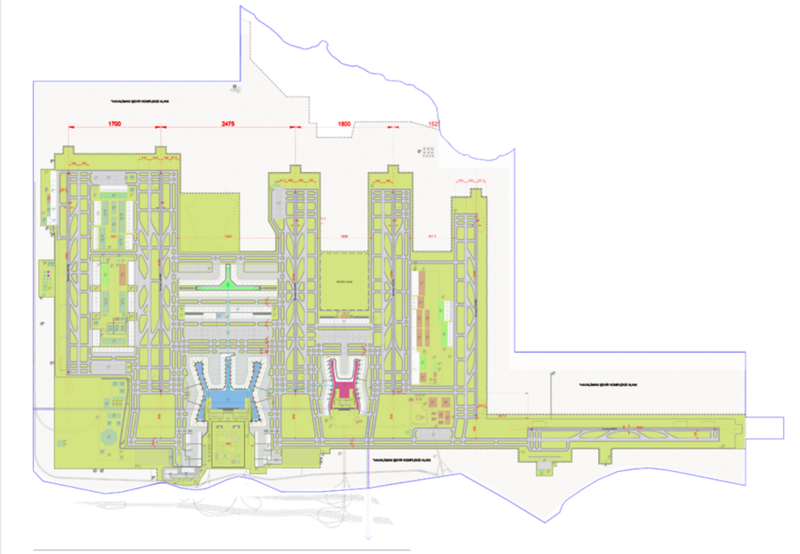 Phase 2-4 of the project will expand this capacity to 150 million passengers within ten years. The maximum capacity is estimated at 200 million passengers. 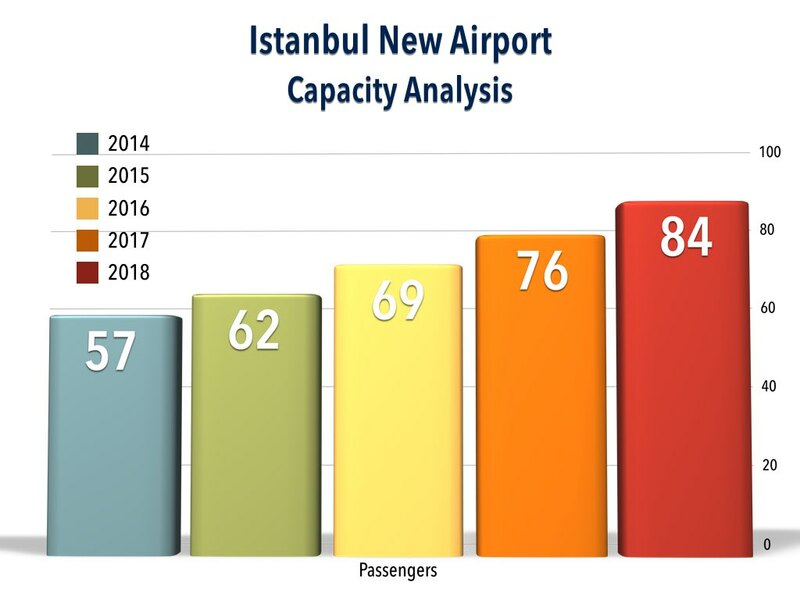 Source: IGA İstanbul Yeni Havalimanı İnşaatı, other airports have estimated 2015 passenger statistics except for London Heathrow Airport which has actual published figures. When it opens, the new airport should have no problems managing projected growth as noted in the chart below. The 13th busiest airport of the world (Atatürk Airport – IST) handled 56.7 million passengers in 2014. This number could increase to beyond 80 million if the current 10% growth rate is applied. 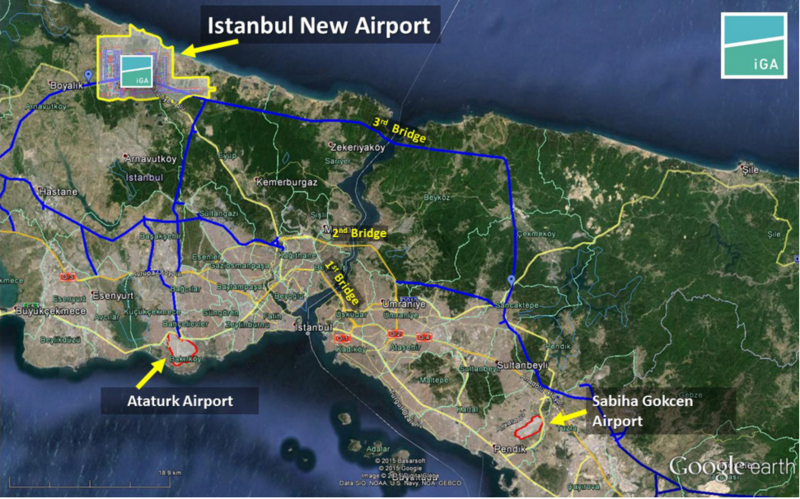 Turkish Airlines (TK) will be the home carrier of the new airport. 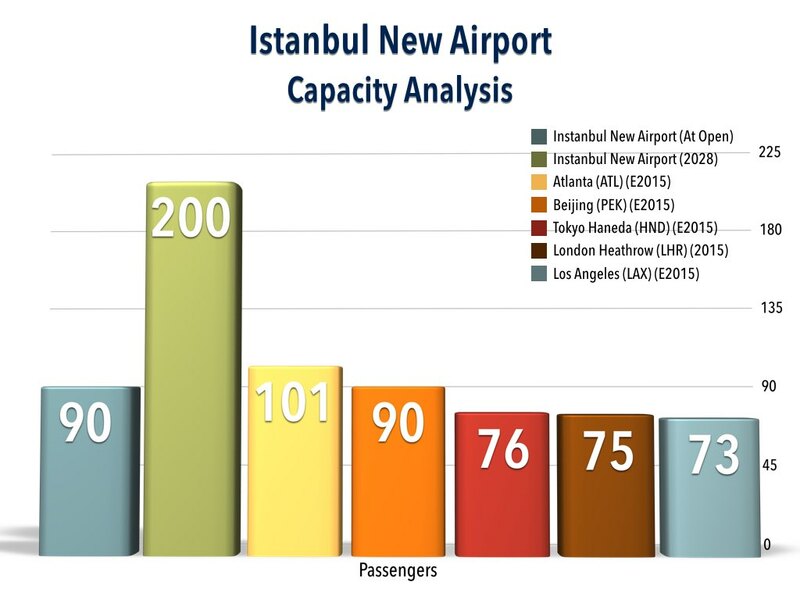 In 2014, the Star Alliance member handled over 90% of the traffic at IST. It currently serves more than 250 destinations worldwide in six continents. It has close to 300 aircrafts in service and has an order for more than 180 for delivery in the next 5 years. While TK has not announced its final plans, it is likely that the airline will move its entire operations from IST and Sabiha Gökçen International Airport (SAW) into this facility to ease connections. 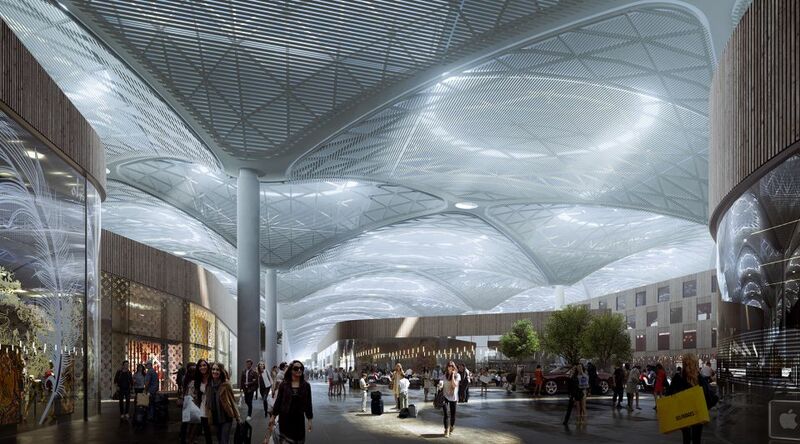 Istanbul New Airport will build a Passenger Transit Unit that will host an express train service as well as subway lines into the downtown core. 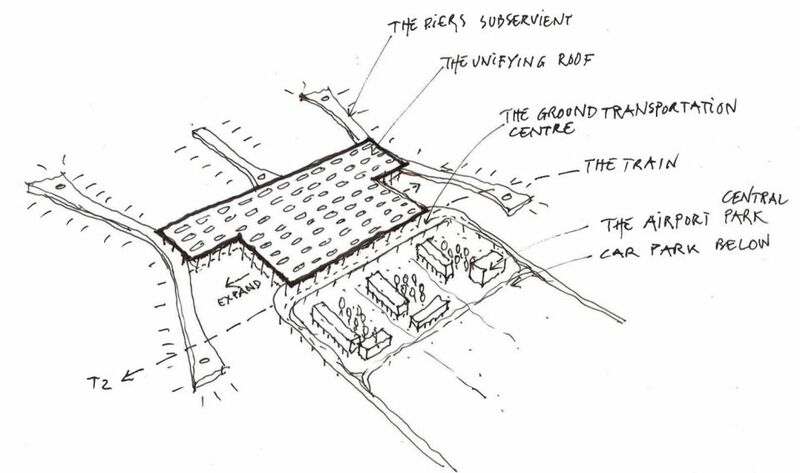 It will also play host for other modes of transportation and a car park with more than 24,000 spaces available for short and long term usage. 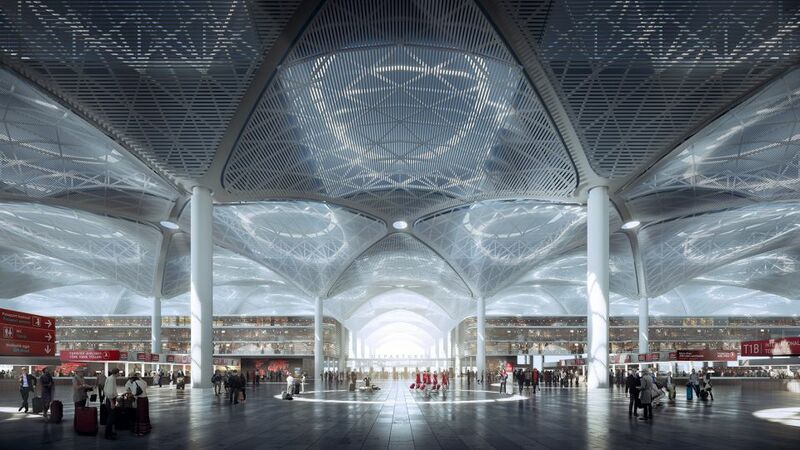 Nordic — Office of Architecture, Grimshaw Architects and Haptic Architects was appointed by the Turkish consortium of Cengiz, MAPA, Limak, Kolin and Kalyon to design the terminal complex for the Istanbul New Airport. From its chief design team ,”In­ter­nally, the vaulted ceil­ing geom­e­try gives a strong sense of di­rec­tion­al­ity, from land­side to air­side, but also re­sponds to peo­ple tra­vers­ing the ter­mi­nal along its length. The roof and lay­out de­sign will re­in­force pas­sen­ger flows, while en­hanc­ing pas­sen­ger ex­pe­ri­ence with in­tu­itive wayfind­ing. Sky­lights pro­vide nat­ural day­light, which is dif­fused through the ceil­ing via fo­cused beams of di­rect sun­light. This day­light high­lights key ar­eas in the ter­mi­nal such as check-in, se­cu­rity, pass­port con­trol and the re­tail en­vi­ron­ment. Provide a unique experience for nearby residents to spend time at the airport as part of daily life. 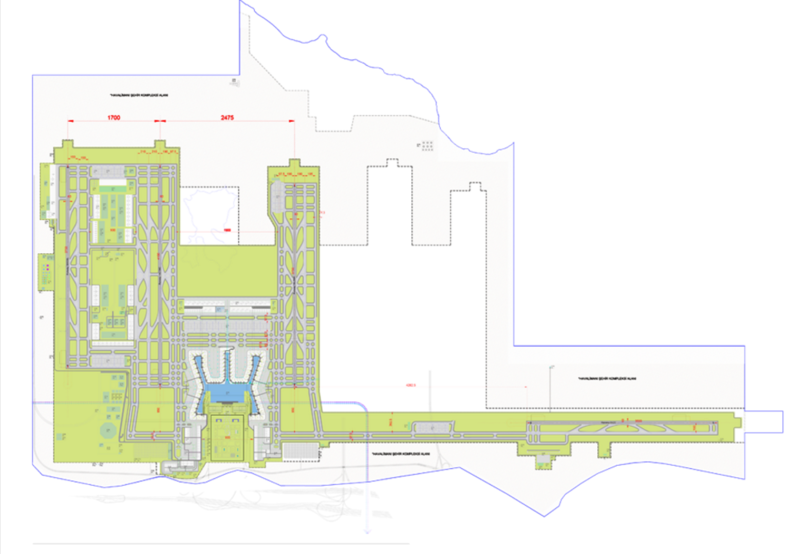 After security, passengers are treated with the world’s biggest duty free area and a retail space of around 100,000 m2 (over 1,000,000 square feet). 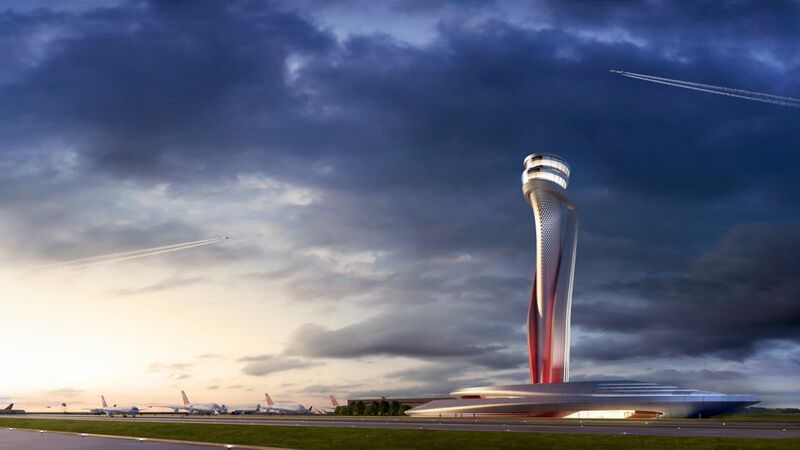 AECOM and Pininfarina‘s design for an air traffic control tower in the shape of a giant tulip was picked for the airport. The design won praises for its futuristic design elements and paid tribute to Turkish Airlines’ tulip designs painted on some of its aircrafts’ fuselage. Dubai announced it will be expanding its Al Maktoum Airport located 23 miles (~37 km) outside of the city. It will have the capacity to handle 200 million passengers and will be a focal point for the Dubai World Central development. 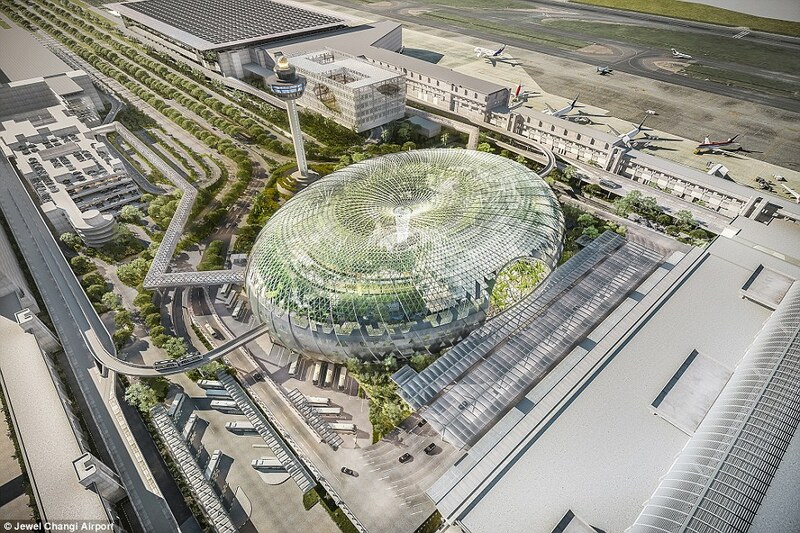 When Singapore’s Changi Airport completes Terminal 4 (2017) and Terminal 5 (mid 2020s), it will be able to handle more than 140 million passengers. The innovated airport (News – November 11, 2015) will be home to the world’s first Airbus A350-900ULR aircraft ordered by Singapore Airlines (News – October 13, 2015). 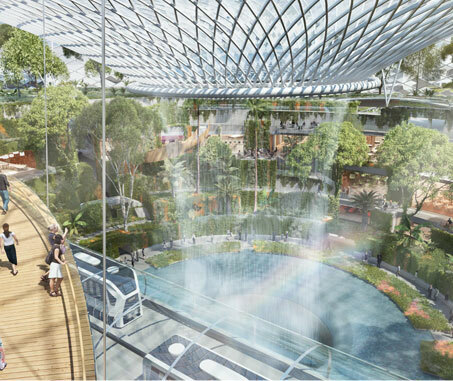 The design will be focused on the world’s tallest indoor waterfall at 130ft. Ahead of the 2020 Olympics, Japanese Transport Ministry Panel’s recommended that Tokyo’s Haneda Airport (HND) should increase capacity through increased slot allocation and runway improvements (News – February 6, 2015). The modifications can yield a 10% improvement in capacity to 100 million. ⟵NewLeaf Travel – How Well Does It Compete With Others?